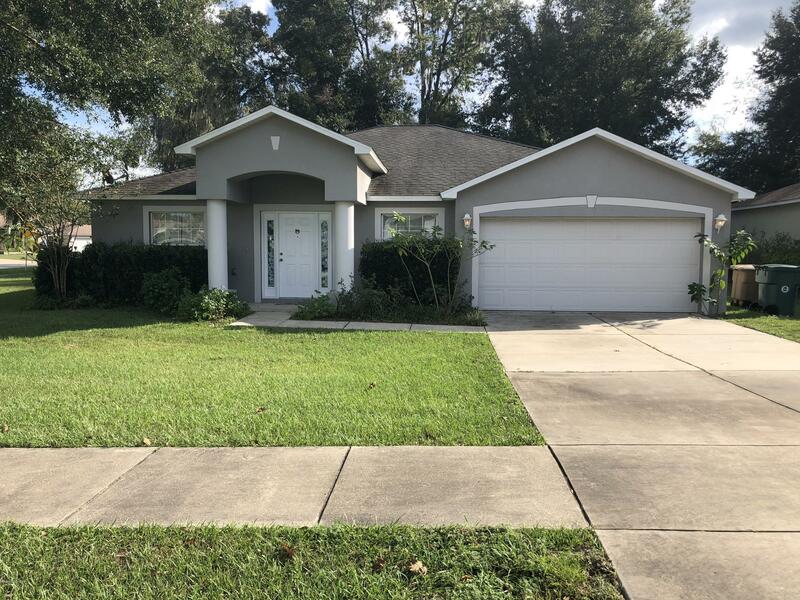 Located in the subdivision of Raven Glen, this 1,674 square foot concrete block home built in 2004, featuring: 3 bedrooms, 2 bathrooms, living, dining and Florida room, kitchen, laundry room with washer and dryer, and a double car garage. The property has been freshly painted inside, new carper in bedrooms, and tile throughout the rest of the house. This lovely home is sitting on a corner lot with a nice fenced-in back yard. The house is clean and ready to move-in. This one will go quick.